You may receive updates from Mano Amiga, the creator of this petition. Release Janelie Rodriguez from South Texas Detention Center! We, the undersigned, join U.S. Congressman Lloyd Doggett & Mano Amiga in calling for the immediate release of Janelie Rodriguez (A#204479144) from South Texas Detention Center. Janelie lives with severe psychosis & has repeatedly suffered hallucinations in detention. We believe you all bear a moral responsibility to do your part to ensure the prompt release of this former DACA recipient, so that she can obtain the urgent medical help she deserves. On October 29th, 2017, Hays County Sheriff’s Office charged Janelie with felony assault after her family called them for help during a mental-health episode; they alleged she bit a police officer. On July 11th, a judge dropped that charge to a misdemeanor upon reviewing her psychological evaluation -- theoretically enabling her to be released with time served. However, ICE placed an immigration hold on her & moved her two hours away from her family, to South Texas Detention Facility. Janelie, 25, arrived to the U.S. when she was three years old & has lived here ever since. She has suffered chronic sexual abuse, resulting in deteriorating mental health. At home in Buda, she’s able to live safely with her family & receive the care & attention that loved ones provide. Janelie & her family are the typical American family. Janelie’s mother cleans neighbors’ homes & runs a popsicle business, while her stepfather works construction. Janelie’s five siblings have all attended school in Hays County & been actively involved in the community. 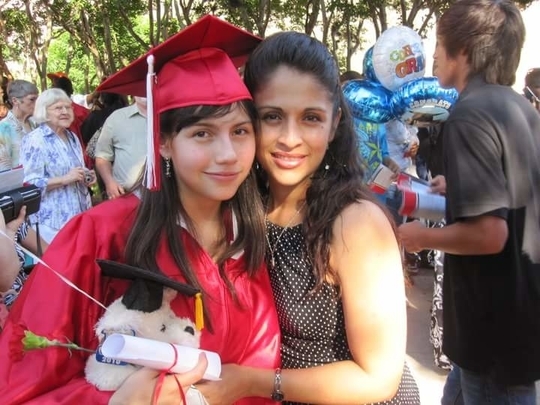 If Janelie was documented, she would have been released July 11 -- but because she’s no longer a DACA recipient, she’s sitting in the South Texas Detention Facility, suffering without proper medical care & crucial family support. U.S. Representative Will Hurd, as well as Dan Bible & Norma Lacy, as representatives of ICE: we are calling on you to release Janelie to ensure she receives the care & attention ICE is neglecting to provide. She has severe mental-health issues & is unsafe in the detention center. Separating Janelie from her family is not the answer. Nobody, surely all of you included, would want this sort of horrifying circumstance to befall one's own family. We urge you to embrace humanitarian values by immediately releasing Janelie.